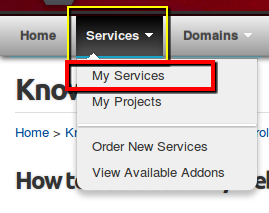 Under the details page, find "Control Panel Info"
Under the control panel info section, find the "Login To Control Panel" button. 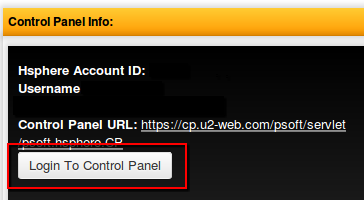 You can bypass the above, by going to https://cp.u2-web.com/ . However, you will need to know the username and password for the control panel.